The first manifestation of AF can be a stroke. Often, in patients, the first time you learn they have atrial fibrillation is when they present with a stroke. At present, the guidelines recommend opportunistic screening for asymptomatic AF in patients >65 years. This can be done with pulse palpation or an ECG. The American Heart Association/American College of Cardiology/Heart Rhythm Society states that clinically unrecognized and asymptomatic AF is a potentially important cause of stroke. It recommends efforts at early detection of AF in at–risk individuals. A single ECG or pulse check to screen for incidental ambulatory AF in those >65 years would detect 1.4% of individuals with AF both in the general population and clinic. Incidentally detected atrial fibrillation in asymptomatic and ambulatory patients is associated with a significantly increased risk of stroke, MI, and all–cause mortality, but treating the detected arrhythmia with oral anticoagulants can significantly improve the prognosis of these patients. A previously unknown oncogene that is activated by ultraviolet (UV) light has been implicated in squamous cell carcinomas (SCCs) and in some melanomas. In the study published online September 7 in Nature Genetics, researchers noted recurrent point mutations concentrated at an UV signature "hotspot" in KNSTRN in 17% of SCCs analyzed by whole–exome sequencing and 19% of SCCs analyzed by targeted sequencing. Several autoimmune diseases have been linked to, and may even play a role in the development of, eating disorders (EDs), suggests a new study. Researchers, in the large cohort study, noted that patients with EDs were significantly more likely to have an autoimmune disease diagnosis compared with healthy control individuals. The study was published online in PLoS One. Presurgical depression is associated with an almost 3–fold risk for sternal wound infection after cardiothoracic surgery, resulting in longer hospital stay and rehospitalization and reoperation, suggests a new study presented at the 54th Interscience Conference on Antimicrobial Agents and Chemotherapy (ICAAC). A novel nationally representative study of older military veterans has found that poor mental health is linked to negative age stereotypes and that viewing getting old as positive may be linked with a lower risk of experiencing post–traumatic stress, anxiety and suicidal thoughts. The study has been published in the journal Social Science & Medicine. A study presented at the 54th Interscience Conference on Antimicrobial Agents and Chemotherapy (ICAAC) has stated that if a patient develops an infection while staying in a hospital, the chances of that infection becoming drug–resistant increase with each extra day spent in the hospital. Researchers noted that the chances of a Gram–negative infection, acquired during hospital stay, being multidrug–resistant increase by 1% for each day of hospitalization. Starting patients on an eight–week course of amiodarone immediately after ablation for atrial fibrillation (AF) may not reduce the risk of AF recurrence over the next six months, suggests a small study, presented recently at the European Society of Cardiology (ESC) 2014 Congress. However, a lower risk of atrial arrhythmias within three months of ablation in those with a greater AF burden was noted in the study. In the large Investigation of the Management of Pericarditis (IMPI) trial of patients with presumed tuberculous pericarditis, neither of the two immunotherapies — prednisolone and Mycobacterium indicus pranii — reduced the primary efficacy outcome, a composite of death, cardiac tamponade, or constrictive pericarditis, during a median of about two years. Prednisolone therapy, however, significantly reduced incidences of constrictive pericarditis and hospitalization. The data was presented at the European Society of Cardiology (ESC) 2014 Congress. A national cohort study has revealed that between 2007 and 2012, central line–associated bloodstream infections (CLABSIs) and ventilator–assisted pneumonias have declined significantly in critically ill children. However, no change was seen in the rate of catheter–associated urinary tract infections (CAUTIs). The report was published online September 8 in Pediatrics. Rapid antigen diagnostic tests (RADTs) are accurate in the diagnosis of strep throat, suggests a systematic review and meta–analysis published online September 8 in Pediatrics. The eras of Ram and Krishna represents two different perceptions of life. While Rama taught us the message of truthfulness, Krishna taught us when not to speak the truth and when is speaking a lie justified. The medical profession today cannot survive on the principles of Rama. According to principles of Krishna a truth which if spoken may cause harm to someone and if not spoken does not cause any harm may not be spoken. Similarly, a lie, which without harming the community may help a particular person or situation, may be spoken. In medical profession doctors come across situations every day, where speaking the truth may be harmful to the patient. Quite often false hopes are given and patients of terminal cancer are not told about their exact nature of illness and the prognosis. There is no way a doctor is going to tell the patient that you are going to die in the next 24 hours even if it is medically true. Dharma, artha, kama and moksha are the four basic purposes of life for which we are born. The basic purpose of life is to fulfill our desires in such a way that we end up in inner happiness. Fulfillment of desires should be done by following the principles of righteous or ethical earning. Most charges in the hospital settings are different depending upon the categories chosen by the patient. A single room patient invariably has to pay more than a patient admitted in the concessional three-bed room or general ward. Even the charges of the treatment, operation theatre, investigations and consultations may be different depending upon the categories. Taking more money from the rich and helping the poor. This principle is more according to Krishna’s principle than Rama’s. Placebo therapy is a well–established therapy in medical science, which means treating the patient without giving the actual drug to a patient. The information that the drug does not contain any ingredient is withheld from the patient in this type of therapy. As per the literature, 35% of the illnesses and symptoms may resolve using a placebo and is based on the principle that the very feeling that a medicine is being given stimulates the inner body pharmacy and produces healing substances and chemicals. Nocebo effect on the other hand means that if the patient is told that your illness is not going to be cured even if medicines are given they may not act as the patient’s body produces negative chemicals, which neutralize the effect of medicines that otherwise are effective. Indian doctors were known for their social medicine, which involves proper assessing of patients’ and their families’ financial status before deciding the treatment. There is no point giving options to a family to spend 10–15 lakhs of rupees for getting an ICD device implanted in the heart, which may increase life span only by one or two years or improve quality of life for a few years to a family who cannot afford this amount of money and may have to sell their house or spend all the money saved for the marriage of their daughters. But today, with the Consumer Protection Act applicable to the medical profession also, not informing the family may even amount to negligence. Wild animals do not get heart attack, blood pressure, diabetes or stroke. These are all lifestyle disorders. But they can occur in a lion caged in a zoo, a rabbit in a laboratory or a pet dog in the house. The biggest challenge, therefore, in cardiology internationally is – how to prevent development of lifestyle diseases including heart attack. Most lifestyle disorders are linked to abdominal obesity, which is the latest epidemic in the society in the west. It is also becoming an epidemic in urban India and is now gradually shifting to the middle class. It is linked to eating white sugar, white rice, white maida and not exercising. Traditionally, Indian sages knew that Indians are prone to getting abdominal obesity, therefore, they promoted observing fast at least 80 days in a year which involves one fast every week, one extra fast on Ekadashi and two Navratras of nine days each at the onset of summer and winter. Traditionally, the Indian fast includes not eating cereals on the fast day. Avoiding cereals 80 days in a year does not allow a person to develop metabolic syndrome and insulin resistance, which is responsible for inflammation of arteries and subsequent lifestyle disorders including heart attack and paralysis. The other challenges at an international level in cardiology involve safer alternatives for surgery and angioplasty. Today, most angioplasties with stenting and bypass surgeries last for 6–10 years. We want such procedures to last lifelong, obviously with control of risk factors. Stents may be needed, which can be resorbed completely. A large number of patients die because cardiac transplant facilities are not available in many countries, especially the Asian countries. Every country should have all transplant–friendly laws so that any patient who dies in an accident and is brain dead, but has a living heart ends up as a heart living brain dead donor. In India, thousands of patients die every year for want of a heart donor. Diastolic dysfunction, heart failure and atrial fibrillation are the other new epidemics of the society. In diastolic dysfunction, the heart does not relax properly and leads to breathlessness on exertion. It is again linked to obesity. If not treated in time, it causes enlargement of the left smaller chamber of the heart called left atrium. This leads to atrial fibrillation, where the heart beats are irregularly irregular. This is the commonest cause of paralysis in elderly age group. Most lifestyle disorders are also linked to eating high salt diet and/or a diet high in transfats. Every country must come out with its policy and guidelines in which they must restrain various restaurants and hotels from using trans fats in their food and limiting the content of salt in their dishes. They are also challenges for cardiologists. A cardiologist must practice what he preaches. A patient will not listen to the cardiologist if he/she (the cardiologist) is overweight and has abdominal obesity, drinks excessive alcohol or smokes. Cardiologists internationally also face legal threat. Most of the law suits in the west are filed against cardiologists, especially those linked to the need of putting a stent or doing bypass surgery. 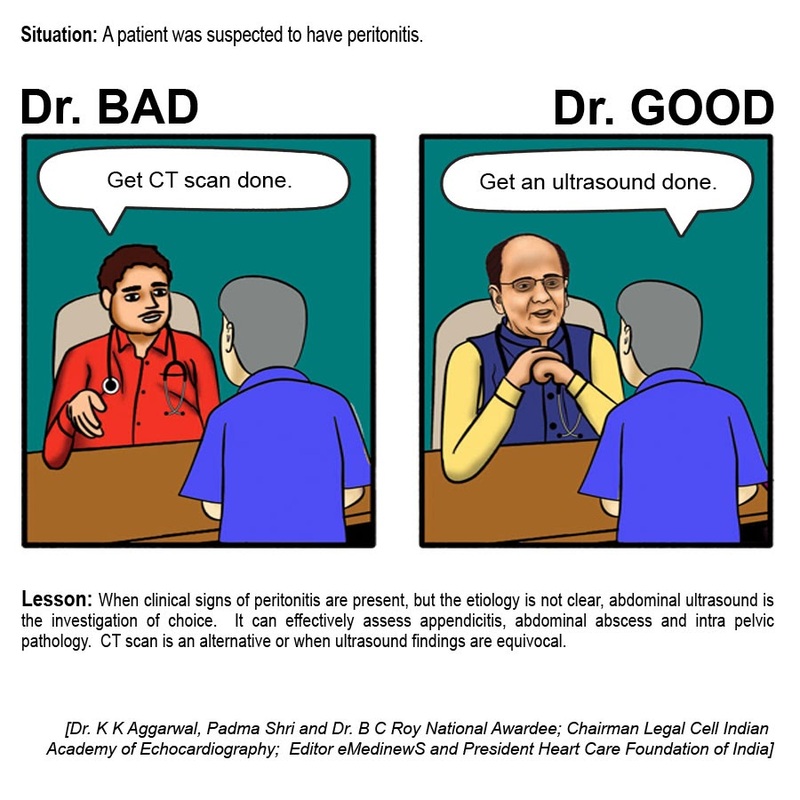 Clear cut guidelines should be laid down and impunity should be given to doctors, if they follow those guidelines. It is a duty of the cardiological association of every country to come out with transparent and standard guidelines in the treatment of heart diseases and when not to put devices in a patient. Due to lucrative packages, a large number of cardiologists are shifting towards interventional cardiology. Very few people, a time will come, will remain in clinical, preventive or diagnostic cardiology. It will be sad scenario to watch, if it happens. Young doctors and medical students should devote their life to combat these challenges. They must learn the principles of Vedic philosophy, especially ethical earning. They must follow the principles of counseling as taught by Lord Krishna to Arjuna. Krishna took 18 counseling sessions. In the first, he only listened, in the second he counseled in great detail, from 3 to 17, he gave reasoning at every stage and in the last session, he revised. The budding doctors must remember that the word ‘Dr.’ as a prefix is given to them as an honour which differentiates them from the society. These prefixes or suffixes are not even available even to Prime Minister or President of India. They must maintain nobility of the medical profession. In Islam, one of the five pillars mentioned is compulsory charity. The budding doctors should decide at this stage that throughout their life they will involve in doing 10% of charity on a daily basis. If anyone can relate to my experience, I hope this will help them: My parents raised me very well, with morals and values, one of which was a relationship with Christ. Because I was so rebellious as a teenager, I met a guy with a strong Muslim heritage at the age of 17 (I’m 23 now) and found him irresistible, probably because I knew it was the wrong thing to do. Well, 6 years later, I realize that my parents really do just want what’s best for me. For 6 years I missed out on everything I should have enjoyed during this age: the college "experience", moving out of my parents’ house, making new friends and enjoying the old, etc. etc. etc. (I could go on). Because I loved this guy so intensely I did everything I never wanted to do. I lived at home until just recently. It took me 4 years to obtain a 2 year degree at my local community college, and I abandoned good friends and didn’t make any in the meantime just so that I could be with "the one I love". We stuck around for 6 YEARS because both families knew that we were not being smart by staying together. I became more and more depressed until on my 23rd birthday I took a step back and asked myself, what have you done with your life? God never crossed my mind as I packed up and left my boyfriend and my family plus everyone I love and who loves me back, so I could get away and think for a while. Now here I was, on my own, away from any influences, and I felt so alone. I knew my life was not right and I felt as if I was at the bottom of an endless, hopeless hole. After a month of being five states away from home, I hit bottom one Sunday afternoon after breaking up with the guy. I was all alone in my apartment, sobbing uncontrollably, when I LITERALLY felt a weight being lifted off my back. The only way I can explain this to myself is to believe that God knew of my worries and saw that I needed Him to take them off my back. I felt lighter. Since that Sunday, I really believe in God. Any time I feel worried or need an answer I open up Matthew, Mark, Luke, or John and before long, every time, I find the answer that I’m looking for. I hope that you will read Matthew, Chapter 6 beginning at verse 25. It is labeled "DO NOT WORRY" in my Bible. It helps me. If my experience helps ONE person who is struggling, it will all have been worthwhile! Lesson: Make sure to remember that erythromycin 2 g/day for 10–14 days reverses the increased risk of atherosclerosis. ero–epidemiological studies have shown a strong association between C. pneumoniae infection and atherosclerosis in patients with cardiovascular disease. A Mechanical, Electrical and Computer Engineer were riding together to an Engineering Seminar; the car began jerking and shuttering. The mechanical engineer, said, "I think the car has a faulty carburetor." The electrical engineer said, "No, I think the problem lies with the alternator." The computer engineer brightened up and said, "I know, let’s stop the car, all get out of the car and get back in again!" Be ready when opportunity comes…Luck is the time when preparation and opportunity meet. Roy D. Chapin Jr.
Health Tip: Bloated and Gassy? 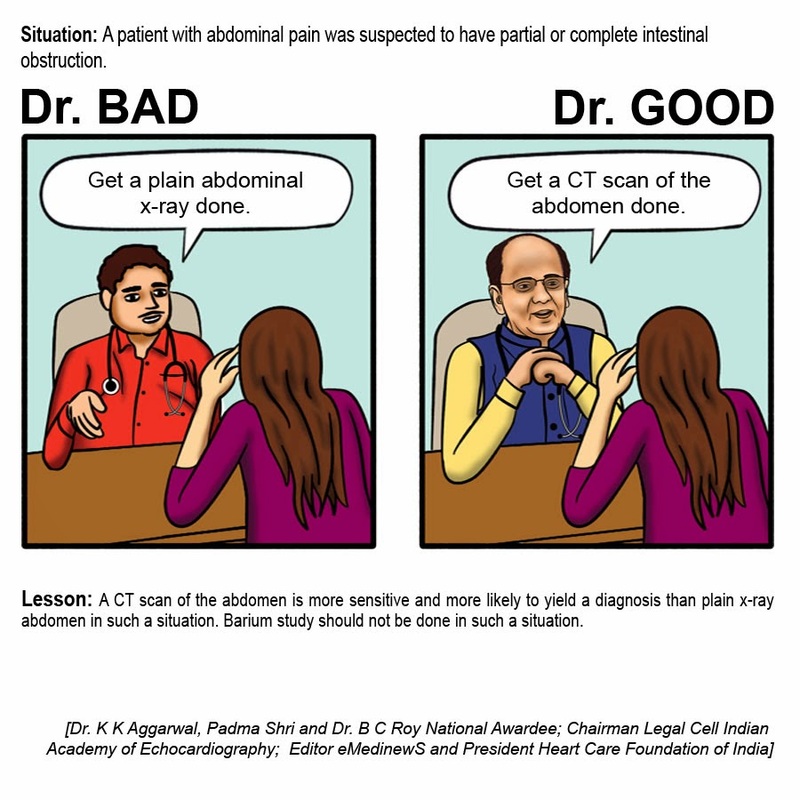 Cut down on foods that worsen symptoms of gas in the abdomen said Padma Shri, Dr. B C Roy National Awardee & DST National Science Communication Awardee, Dr. K K Aggarwal, President Heart Care Foundation of India and Sr National Vice President Indian Medical Association. The need to burp and pass gas is normal. But some people may feel that they’re frequently bloated and gassy. Foods that split equally into two produce gas e.g. pulses, red kidney beans (rajma), chickpeas etc. Cook them after soaking them in water for 8–12 hours or cook them with ‘heeng’ (asafoetida). Foods grown over the soil if eaten raw produce gas–like feeling e.g. cauliflower, broccoli, cabbage etc. Foods grown under the ground produce gas, if eaten raw or without soaking them in the water e.g. onions, radish, carrots etc. Cut down on foods known to cause gas, such as beans, dairy products, bran and whole wheat foods. Limit gas–causing vegetables such as onions, broccoli, cabbage and Brussels sprouts, and fruits such as peaches, apples and pears. Avoid sugary fruit drinks and carbonated soft drinks. Instead, drink water. Avoid swallowing excessive air by eating slowly and chewing thoroughly. Correct answers received from: Dr PC Das, Dr K Raju, Daivadheenam Jella, Dr K V Sarma, Dr Jainendra Upadhyay, Dr Avtar Krishan, Dr Poonam Chablani, Dr P C Das. Answer for 8th September Mind Teaser: 4. Glycosylation. Correct answers received from: Dr Jainendra Upadhyay, Dr KV Sarma, Dr Rishipal Singh, Daivadheenam Jella, Dr Avtar Krishan, Dr Chandresh Jardosh, Najib Khatee, Arvy Patel.